Need a custom virtual server with your own specifications? Contact us for a quote! We offer numerous features by default with our virtual servers, including all Mega-VOLUME and Pure-SSD plans. All virtual servers are setup instantly upon payment. Custom additions and upgrades may be delivered later. Do you need cPanel, Multicraft, DirectAdmin, some other control panel, or maybe no panel at all? We have you covered. Our sysadmins monitor and manage our virtual server host nodes so that you never have to deal with poor performance. Cheap providers often don’t provide good support at all hours of the day. We’re here for you around the clock, 24/7. We have a 99.9% uptime SLA on our hosting services, so you can rest assured that we’ll take care of any issues swiftly and effectively. You’ll never see us cut corners and use desktop-grade server and network gear – only the best. Manage the power of your virtual server through our control panel: stop, start, reboot on-demand. Don’t get locked out of your virtual machine due to a failed network configuration, bad firewall, or other reason. We protect up to 2Gbps for FREE. Need to upgrade the protection size? You can do so during checkout or after ordering. What locations are available for your services? The following is a list of all of our current hosting locations. Can I get cPanel with my service? Yes! We can install cPanel with your OS. This way you don’t have to worry about installing it once your service is online. We also offer cPanel licenses if you do not already have one. We offer Enterprise Level DDoS protection through our RioRey appliances. More information about that can be found here. If you would like to inquire further about this service, please submit a ticket. How many IPs do I get with my service? All of our VPS services come with a single IP by default. Additional IPs are available for purchase upon request during or after the initial order. What operating systems can I get with my service? * Windows Server installations are only available with our Windows VPS packages. We can accomodate custom specifications, too! One of the most important goals we have here at ServerDeals is to focus on the customer. We aim to excel in providing knowledgeable 24 x 7 x 365 support, around the clock, every day of the year. We provide assistance with many tasks, even if you don’t have a management package. If you have an emergency such as your server being down, we’ll be there to help in any way we can, unlike other cheap, unmanaged providers that can leave you sitting and your business losing money while your server is offline. If you’re looking for a complete managed support solution that covers most if not all tasks, then we recommend our amazingly low priced management plans. Take the complexity out of managing your server environment and get back to focusing on managing your business. 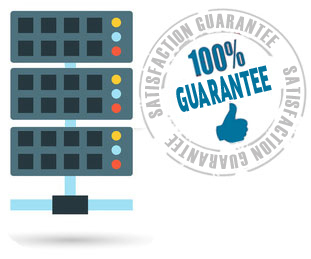 ServerDeals’ managed hosting engineers will take care of your hosting environment around the clock to ensure your business remains up and running 100% of the time. 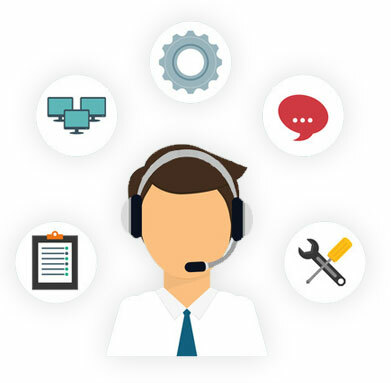 We handle everything from basic maintenance tasks to full troubleshooting and technical support. If you are interested in full management, simply add it to your server upon checkout, let us know what you need, and sit back and relax! Don’t get caught with a budget host that leaves your customers with a bad taste due to poor uptime, low speeds, high latency, and constant connection drops. Here at ServerDeals, we provide an enterprise network with multi-homed BGP bandwidth so that you and your customers don’t have to worry about downtime ever again. Our Tier III+ location in Chicago, IL, features redundant power and network components which helps limit downtime in the case of any issue or emergency. Don’t settle for a cheap, unmanaged provider that uses low grade desktop hardware to host your business. We utilize quality server gear such as Supermicro and Dell so that you can rest assured that you have proper technology acting as the foundation to your infrastructure. Our network is powered by Cisco and Brocade routers/switches in order to provide good latency and high uptime for your traffic. All of our current server plans (excluding some servers on the “Specials” page) include IPMI functionality, providing you with further control over your servers with ServerDeals. With IPMI, you can access a virtual console to check on your server even if the operating system’s network is down, and issue reboots remotely.